Many movie lovers and fans are wonderng why Tollywood stars stay away from Diwali parties. This is unlike their Bollywood counter parties who celebrate all festivals by throwing grand and lavish parties and calling all top celebrities in the industry. 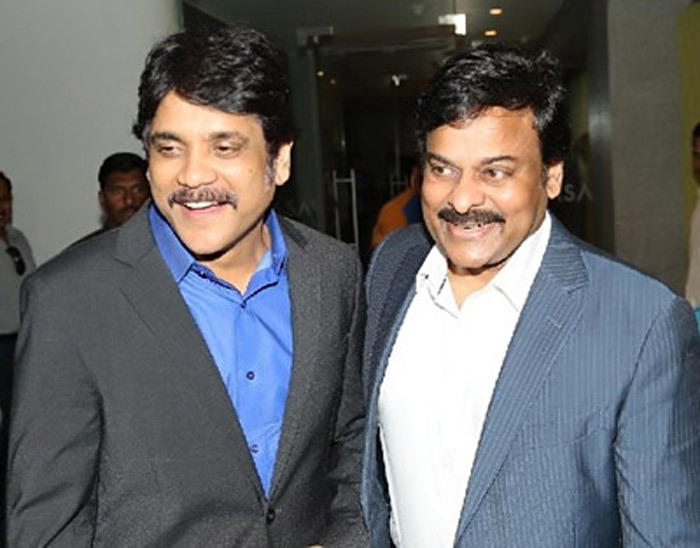 It is known that Tollywood churns out the highest number of films and collections wise too rake in good amounts at times surprising even national trade experts. However while Bollywood stars like Shah Rukh Khan, Amitabh Bachchan, Hrithik Roshan and others celebrate festivals organising lavish parties and they too attend grand parties given by other stars and industrialists like Ambanis, Tollywood surprises with their seclusion. Though of late they are seen coming closer, celebrating family vacations and functions together, attending film events together thrilling fans, they still have a long way to go. Wonder when they emulate Bollywood stars. Movie lovers are waiting eagerly to see Chiranjeevi, Venkatesh, Balakrishna, Krishna, Nagarjuna, Mohan Babu giving lavish parties during festivals and all the stars in the industry attend and celebrate them thrilling everyone. Akhil Strikes Similar Styles, Not Good!